Overstock. 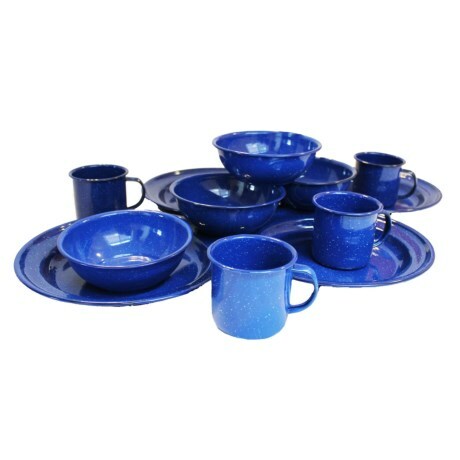 A campground essential, Alpine Mountain Gearand#39;s Enamel tableware set makes outdoor dining and clean-up a snap, with durable steel mugs, bowls and plates for four people. Available Colors: BLUE.